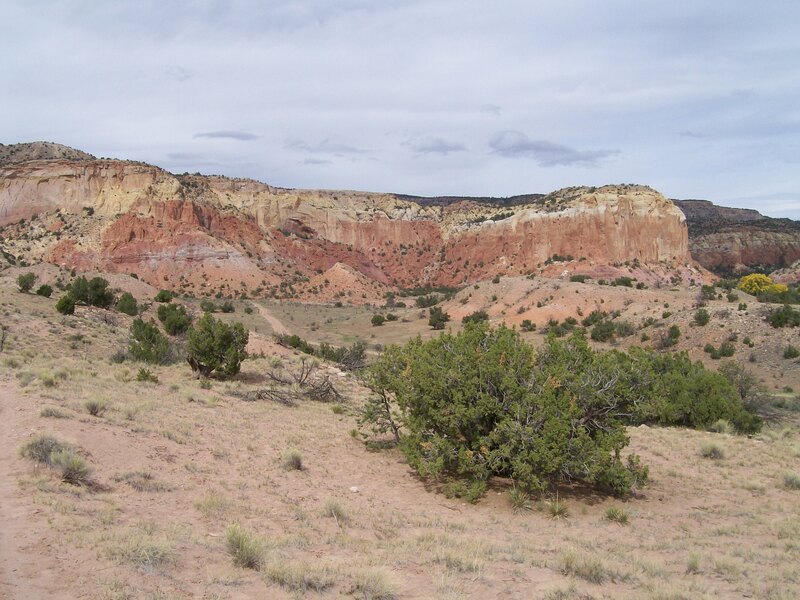 I have just returned from a week-long workshop at Ghost Ranch. It was both stimulating and relaxing and full of kindred spirits in a spirit-filled place. “The Ranch” has a long history, going back to a small dinosaur whose bones have been found there, the Coelophysis. The name “Ghost Ranch” goes back to the Archuleta brothers, who told any would-be thieves or cattle rustlers the place was haunted―and no nefarious person ever came out alive to contradict them. Ghost Ranch is connected to the Presbyterian Church but funded separately. It offers a wide variety of classes from spring into fall, as well as a January term for students. 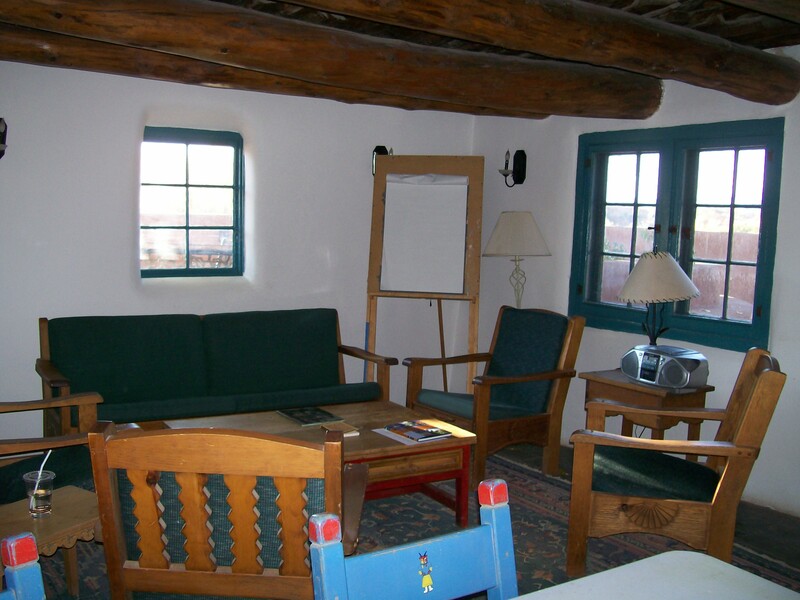 Anita Skeen is the organizer of, as well as one of the teachers in, the Fall Writing Workshop at Ghost Ranch. Anita has put this together for the second week in October for something like fifteen years and has taught at the ranch for many years before that. This year there were four classes. While Anita taught one on The Writer’s Notebook, Ina Hughs taught Creative Nonfiction, Catherine Watson taught Travel Writing, and Jane Taylor led a workshop in poetry focusing on shape and voice. Each teacher gave a reading, so that all participants could hear the work of all of them. At the end, a joint reading of all the students gave an overview of the class approaches and assignments. One afternoon, each teacher gave a short workshop. It may be no surprise that the basic rules of good writing in all genres are much the same: details, emotion, a good beginning, middle and end, etc., but it is great reinforcement to hear this told in different ways for different kinds of writing. Reminders are often as good as new material for encouraging the artistic process. All of the teachers were entertaining as well as informative. The writing was all fresh work. There were exercises and assignments, with freedom to interpret or adapt them to whatever flowed from the pen. In my small class of three students, the variety produced from one assignment was a delight. The mutual support and good spirits made everything seem even better than it was – at least in the case of my own efforts. I came home with a batch of new bits and pieces to pursue, and new ideas about how to approach them. There are a lot of different housing options. I chose the cheapest, which were located up on the mesa, units of simple rooms with shared bathrooms. This turned out to be a good choice in two ways. First, the walk up and down the hill was good exercise to stir the writing muscles as well as the physical ones, and second, the mesa has the best cell phone service, the main part of the ranch being in a valley. Will I go back next year? Maybe. Do I plan to go back before very many years go by? Definitely. Maybe next time I’ll find the words to describe the colors of the turning cottonwoods against the pines and junipers. Watch for next year’s schedule to appear at www.ghostranch.org. 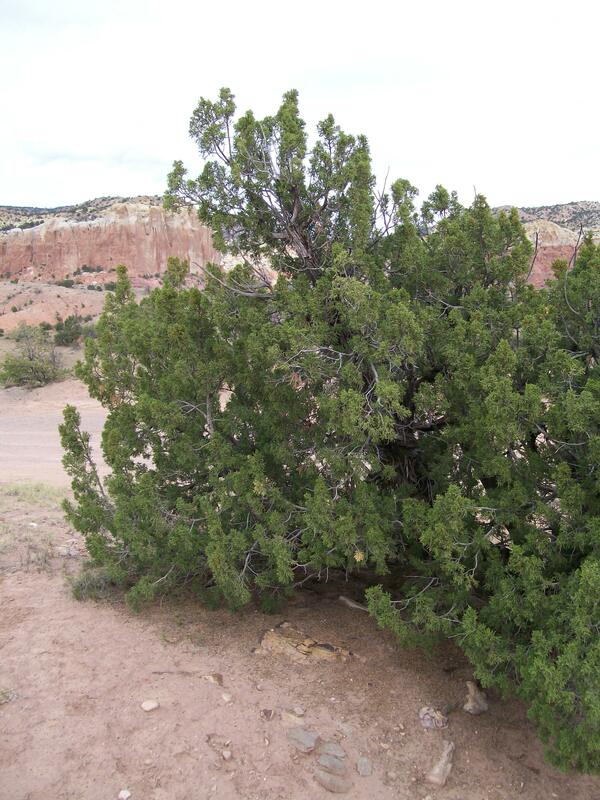 Ellen – your post left me wishing I lived in New Mexico. I need to attend a great writer’s conference/workshop soon. It’s been too long! Love the pictures, also.